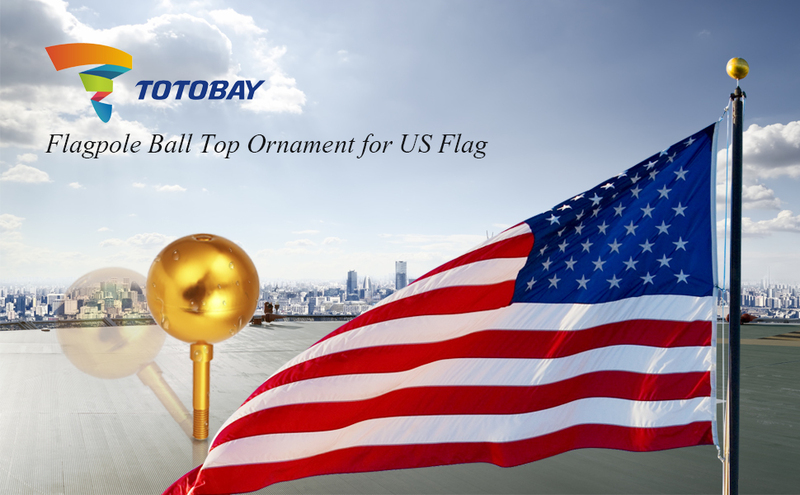 Flagpole topper ornament: Unique aluminum alloy and gold anodized finish decor, which make your US flag pole more particular and exquisite. 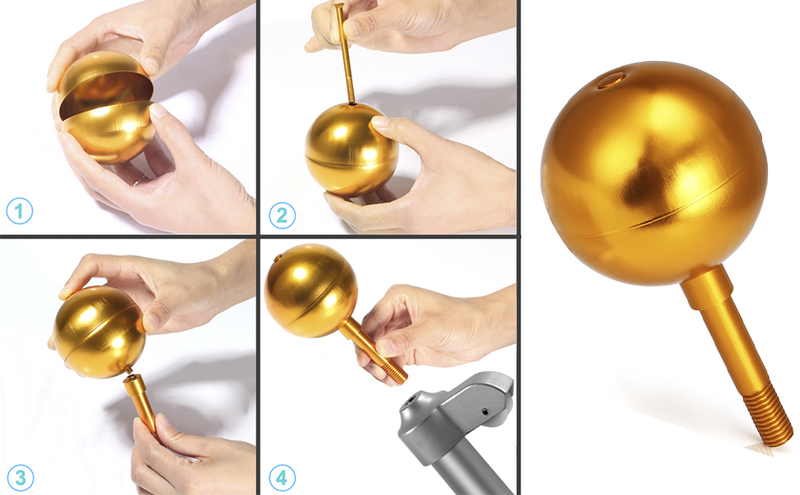 Durable, glossy and corrosion resistant, the flagpole ball will not get erosion and color fading in raining days or hot weather,gold finished color will retain for long time. Simple and convenient installation, the flag pole ball with 3 inch diameter penetrated by a spindle and fastened by a threaded rod. Contain 1/2"a thread and a threaded rod which screw up the balls comes in halves that fit well together. 100% Satisfaction Guarantee: Any problems please feel free contact us with your order tab, TOTOBAY Team will reply you within 24 hours. 1. Please do not use sharp objects scratching the surface of the products. 2. Please do not strike or press heavily with other objects. 3. The whole product contains the ball, spindle and threaded rod, please do not take apart or lose any part.